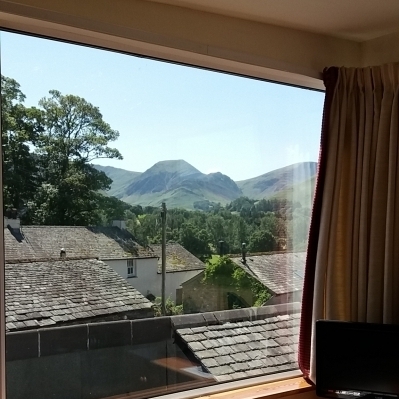 Our most popular room – returning customers often ask to stay in Catbells, where you can wake up with panoramic views of the Newlands Valley. 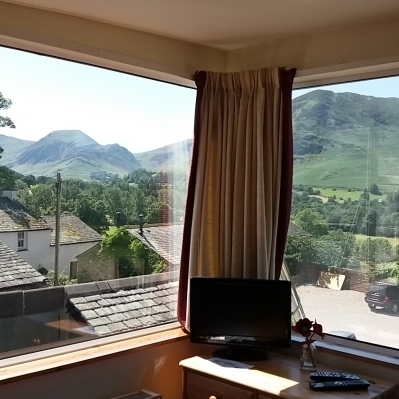 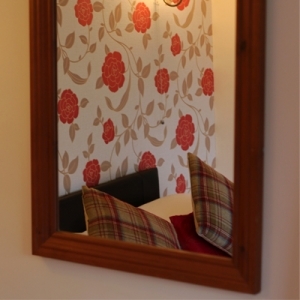 Guests without dogs have found that our newly refurbished room Causey Pike is a better room, even than Catbells. 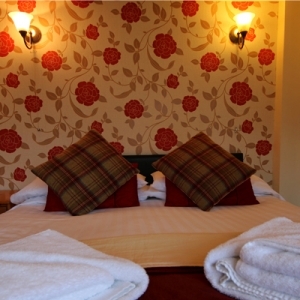 After you’ve walked Catbells, buy the TShirt, or treat yourself to a Catbells Hoodie.